Juliane is a PHD scientist who wants to change the world with her algorithms. Everything she loves in life centers around her work and being recognized for what she’s done. When her career is everything to her, will she be able to set aside her pride to continue working on collaborative projects where she won’t get the credit she’s due? This novel reminded me of the dangers of advancing too fast as a species with technology, like the story in the Mind Space Series by David Moore. 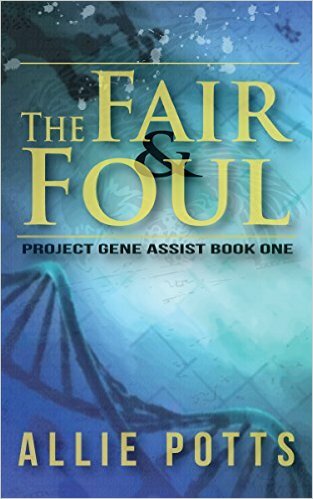 The Fair and the Foul reminded me a lot of the Mind Space Series due to its time jumps in the story to show the breadth of the technological advances. The ending was a bit abrupt, but I was so glad all the hints were fully explained. I wouldn’t have understood what was really going on without the big ending reveal. The way the technology was referenced was a bit over my head, but I really enjoyed its grounding in real technology and the fact that the scientists seemed to really know what they were talking about. What gripped me most about this book was the depth of the relationships between the characters and the complexity of these relationships. Juliane’s constant struggles as a top female scientist in a male-driven environment were fascinating and unfortunately very true. Disclaimer: I received a free copy of this novel in exchange for my honest review. This novel was published by Axil Hammer Publishing on November 4th, 2015 and is available on Amazon here. ← Biker Chicks 2 Release – IT’S HERE!